According to the Global Business Travel Association’s Business Travel Index Outlook, business travel spending is on the rise with growth expected to “accelerate significantly” in the next four years. As businesses prepare budgets, policies, and processes for the next fiscal year, it’s a good idea to look at how your organization is managing spend compared to other similar companies. 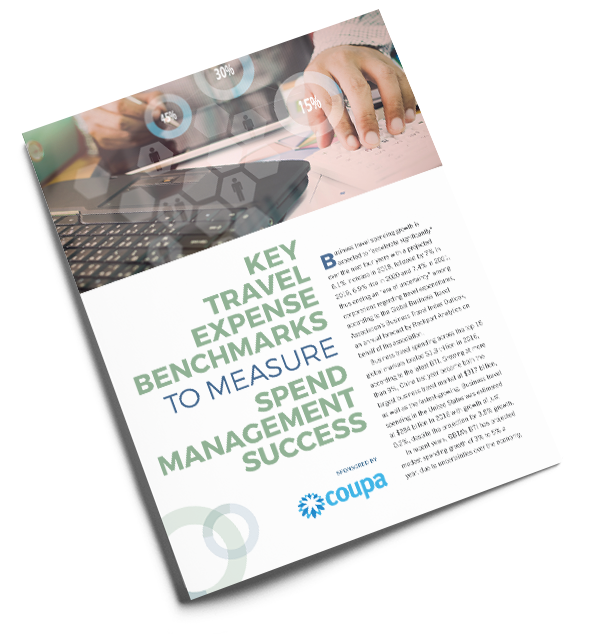 Coupa analyzed key expense metrics across a wide variety of industries to gain spend management insights into key performance indicators (KPIs) for both midmarket and large enterprises. Businesses can use these benchmarks to determine what areas of travel expense management they’re handling well, and what areas need improvement.